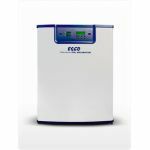 The CelCulture® CO2 Incubator is designed and manufactured using the accumulated expertise and knowledge that Esco has developed with over 35 years of World Class equipment for laboratory usage. 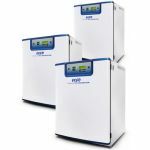 Designed with sample safety, energy efficiency and user-friendliness in mind, the system achieves precise parameter controls, highly effective contamination control and intuitive user interfaces, all supported by Esco's solutions - based sales and service representatives. Contamination control with long life ULPA filters and 90°C moist heat decontamination cycle. Direct heat and air jacket design with gentle yet effective forced convection. Intuitive interfaces, and intelligent data and event logger. 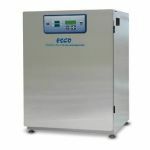 Esco CelCulture® CO2 Incubator with Integrated Cooling System provides solution for highly specialized application. 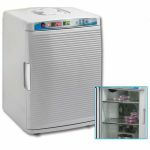 he integrated cooling system allows studies of samples that requires temperature at/or below ambient temperature.